Kingdom Hearts is bringing us some familiar faces. Square Enix is partnering with Disney to bring a Toy Story themed event to Kingdom Hearts Union χ. The event will run from the 29th June to the 31st of July and will feature imprinted illustrations of Woody alongside his friend Buzz Lightyear. Furthermore, Players can attain another badge with Jessie & Rex & Hamm on the medal. Completing special quests will grant you access to these quests. The event is taking place in order to promote the recently opened Toy Story section in the Walt Disney Resort in Orlando which sports a multitude of rides all sprawled aptly dubbed ‘Toy Story Land’. The ride has already gone down swimmingly with park visitors queuing for nearly three hours to get into the area. Kingdom Hearts Union χ is a mobile spin-off to the critically acclaimed Dinsey cameo fest Kingdom Hearts franchise. 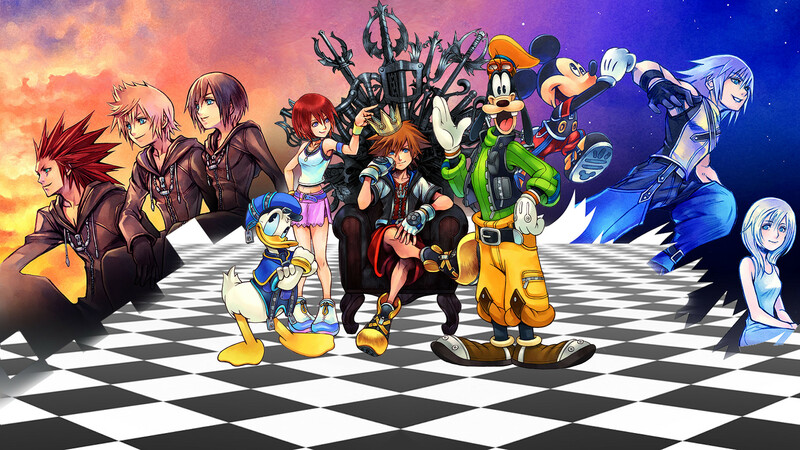 In the free to play mobile by-product, players have the chance to explore the lore of Kingdom Hearts bustling with things to do and charming characters to meet. If you love the mobile game you might be glad to hear a mainstream title is due out next year. Kingdom Hearts Union χ is out now on iOS and Android while Kingdom Hearts 3 is out 29th January 2019.